The client came to the Pumphrey Law Firm after being charged for a felony domestic battery by strangulation upon his then girlfriend. Client maintained his innocence throughout the process and steadfastly held that the “victim” was the initial aggressor. Defendant’s girlfriend filed multiple sworn statements with the State Attorney’s Office requesting that charges be dropped, yet the State continued to prosecute the client, costing him over $1,000 in pre-trial supervision fees and costs. 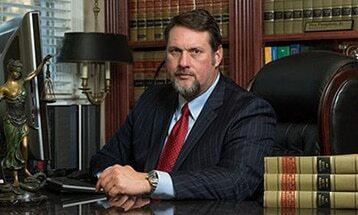 The attorneys of the Pumphrey Law Firm continued to fight for the client’s freedom and quickly set the case for trial. During trial preparation, the defense team continued to put on full-court pressure defense against the State’s prosecution of the defendant in light of their only eyewitness refusing to cooperate. For months, the State failed to turn over photographs of the witness/victim from the incident, but upon turning them over, the State realized their case had lost all legs, and upon the defense filing a demand for speedy trial, the State filed a Nolle Prosequi, thus ending the client’s case.